Compatible with Axis housings. When used together with AXIS T94R01P Conduit Back Box, the Ethernet cable can be routed through or along the wall (from left or right). 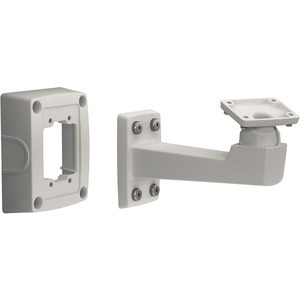 The wall mount is already included with AXIS T93F Housing Series.